SARASOTA, FLORIDA, March 29, 2018 – Manatee and Sarasota condos for sale have touched record levels during the past two years, and anecdotal evidence suggests that the submarket of villas and carriage homes significantly contributed to this banner performance. The current strategic thrust of Neal Communities is one good indicator of villas providing a lift on the condo market segment’s growth. This Lakewood Ranch-based builder is making villas available in its Indigo community starting this year with the first model set to be unveiled in March. 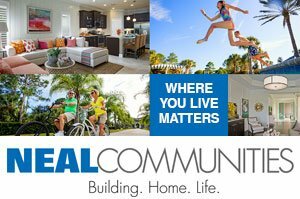 Besides Indigo, a neighborhood in Lakewood Ranch, Neal also builds villas in six other communities in Sarasota and Manatee. These are at Boca Royale in Englewood, Eagle Trace in Bradenton, Grand Palm in Venice, Milano in North Venice, Silverleaf in Parrish, and Villa Amalfi in Sarasota. The list doesn’t end here, as Neal Communities is seeking Manatee County approval for a new villa neighborhood on the northwest corner of Lockwood Ridge and 63rd Avenue East (Honore Avenue stretching towards east). Named as The Villas at Lockwood Ridge, this community is planned on some 37 acres which is flanked north and west of the Centex community Barrington Ridge. Neal’s new project sets the villa clusters along Lockwood Ridge and allots a 16-acre wetland preserve. The blueprint of the Villas at Lockwood Ridge provides about 70 percent open space. The community’s entrance is planned off 63rd Avenue East with an emergency vehicles-only entry off Lockwood Ridge. Sales of Neal’s villas are quite remarkable during the 12-month span ending mid-March, particularly at Grand Palms where 16 residences were sold during this period. Villa pricing in this community at the West Villages development starts in the high $200s and tops in the $300s. The floor area of these residence measure between 1,450 and 1,550 square feet designed with two bedrooms and two baths. Villa offerings in other Neal neighborhoods approximately have similar square footages and pricing. All of the villas’ design flaunts influences from Coastal and British West Indies architecture the highlights of which include paver driveways and tile roofs. Neal’s villas also typically include a well-appointed living space, master suite, gourmet kitchen, a covered lanai and garage. These features make these residences a perfect choice as a starter home or a logical option for downsizing households and folks seeking an ideal vacation home. These villas likewise offer a carefree lifestyle, with their maintenance-included feature. Their owners can enjoy all of the amenities that are provided in most of the development projects of Neal Communities. At Indigo, for instance, resident privileges include access to the community’s clubhouse with social and recreational facilities such as a culinary kitchen, a resort-style pool and spa, as well as bocce ball and pickle ball courts. 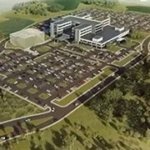 Also provide to residents are fitness room and movement studio, plus the services of a full-time lifestyle director who plans and coordinates community activities. 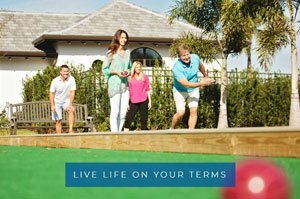 Indigo homeowners, in addition, could partake of the many facilities in Lakewood Ranch. The choices include 150 miles of walking and biking trails, nature preserves and parks, sports and athletic centers, and polo and cricket clubs, representing just some of the fringe benefits of owning an Indigo villa.